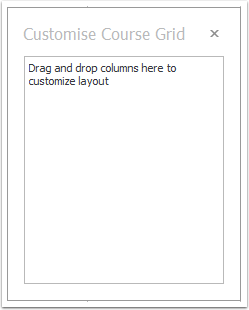 How do I customise the course grid? /General /Reports /How do I customise the course grid? Customising the course grid for export. Select the Enter Courses menu item. Right click on the column you want to rename. All changes are immediately saved to the database. 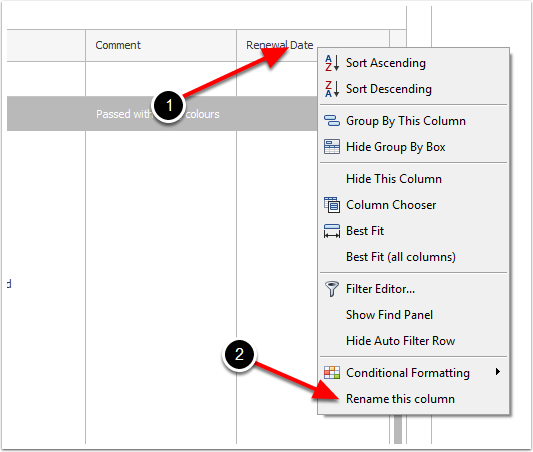 Right click the column you want to apply formatting to. 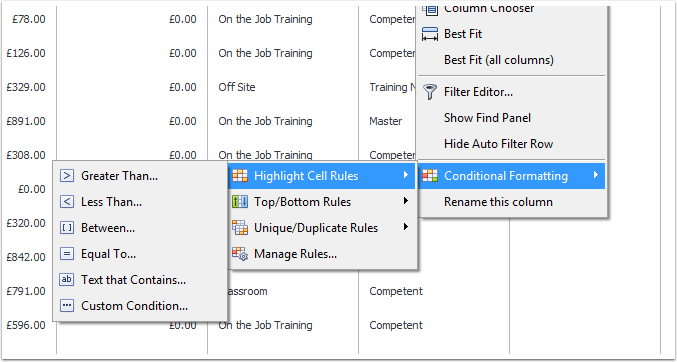 Choose the conditional formatting type you want to apply. The following example uses Text that contains. Select the Text that Contains.. menu item as above. Optionally, apply the formatting to the entrie row. The result of the applied formatting. Selecting Hide This Column will remove the column immediately. 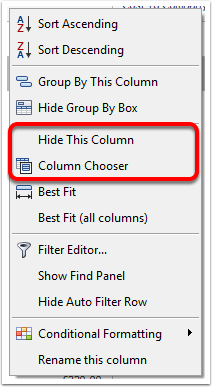 The hidden column can be restored using the Column Chooser customisation form. Selecting Column Chooser will open the following customisation form. The Column Chooser customisation form. 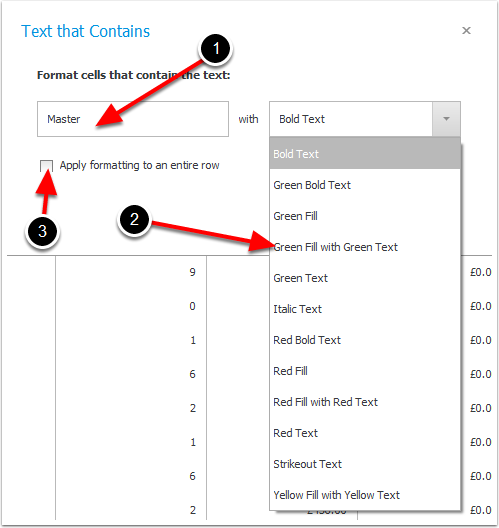 Columns can be dragged into or out of the Column Chooser customisation form. Any changes are immediately saved to the database. Changes are applied for all users. How do I build a report in the Skills List? How do I change icon colours and competency labels? How do I add menu items to Favourites? 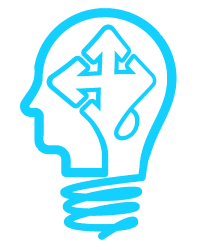 Search this knowledge base to find answers to your Skills Master Pro questions. If you do not find the answer here please email us. How do I install Skills Master Pro? How do I add an Employee? How do I add a Course Type? How do I set parameters? How do I set up scoring for Objectives? How do I add a Department? How do I add a Job Title? How do I apply a license? How do I add a course to a number of Employees? © Copyright, Major Oak Software Ltd.